Hello all! 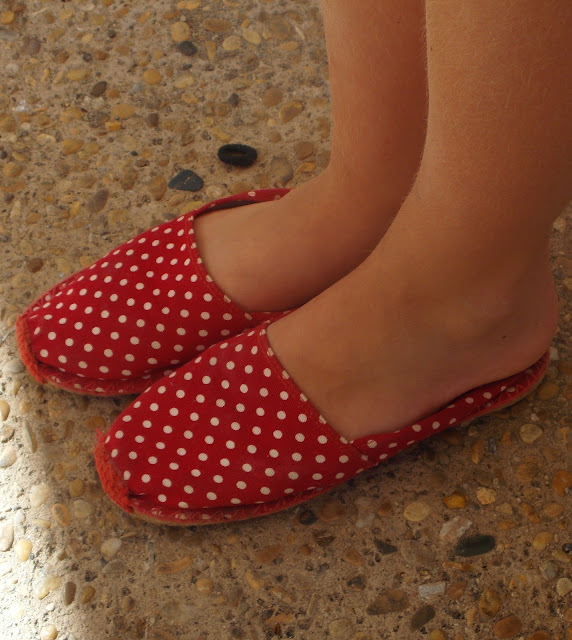 I'm currently in the South of France spending time with my friend Edie who is my lovely foot model in this post about a major French trend - Espadrilles. Everyone wears them and you can buy them anywhere. They are sold at surf shops, supermarkets and clothes shops. They are perfect for those late summer days and I definitely want to pick up a pair whilst I'm here. I thought Edie's spotty ones were SO wonderful and I had to share the trend with you all. They are really cheap too and last longer then flip flops. If you are not a fan of the wicker soles, Next sell some amazing ones with thin rubber ones which I spent most of the summer in (if you've seen my outfit posts you'll know).